I lost my mojo making lunches last night. The girls requested animals, but I ran out of steam. As much as I try not to do much processed food, sometimes it’s a wonderful time saver in a pinch. I cooked some Soy Boy brand soy ravioli for the girls and cut the pieces in half. 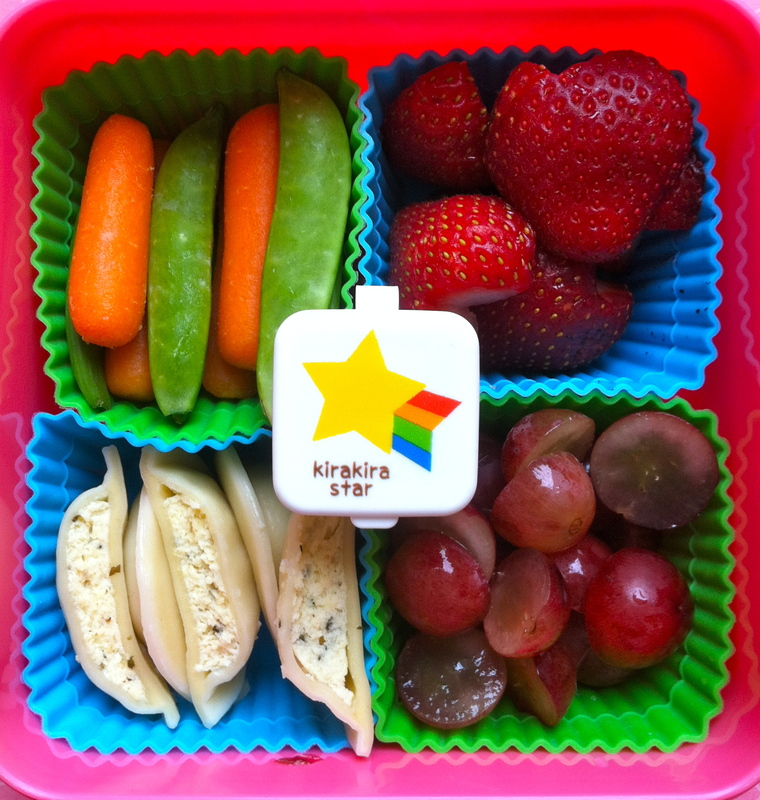 Miss A had carrots & snap peas with heart shaped strawberries, sliced seedless red grapes and the small container is marinara sauce for dipping. 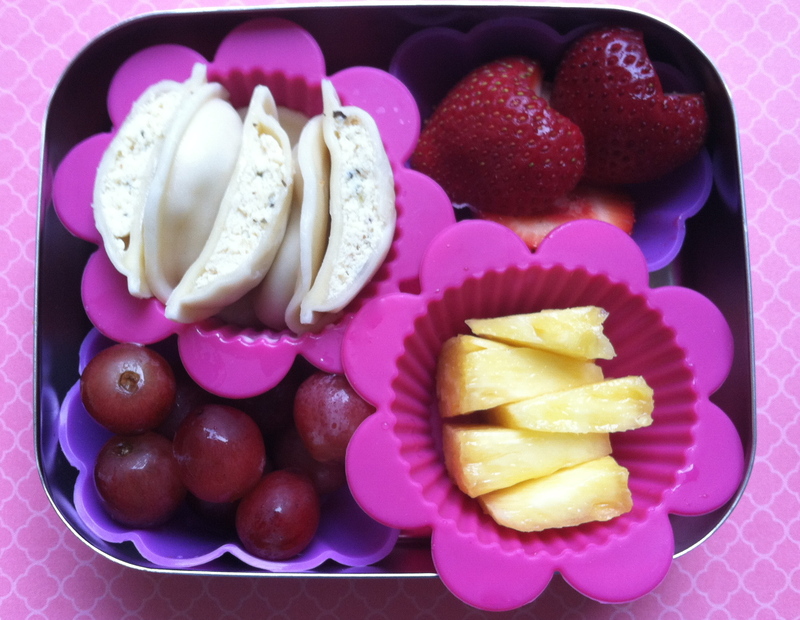 Miss G had a similar version with heart shaped strawberries, pineapple wedges and red seedless grapes packed in her LunchBots stainless bento container. 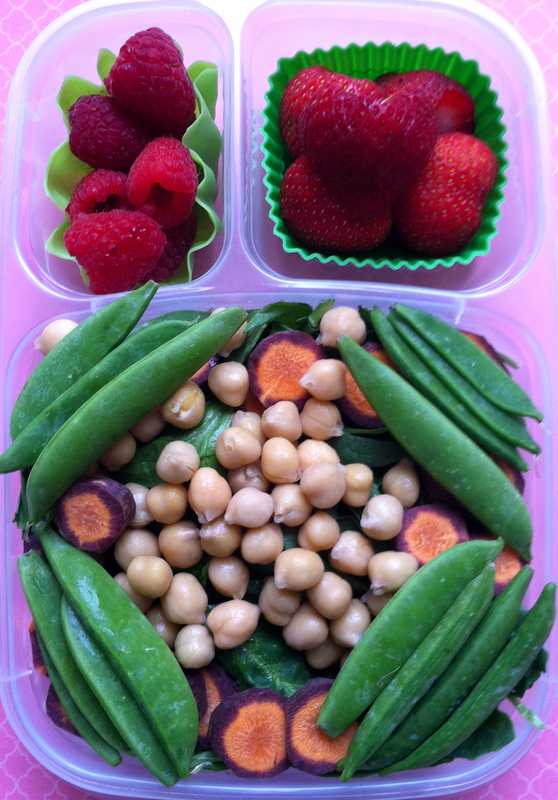 And my husband’s lunch was baby spinach greens with locally grown red carrots and sugar snap peas, chickpeas (garbanzo beans) and ginger dressing not shown packed in his Easy Lunch Boxes container. At the top are organic raspberries and strawberries. 2 Responses to "Ravioli lunches and a spinach & chickpea salad"
This one is giving me some great ideas for lunches. I never thought about using ravioli!